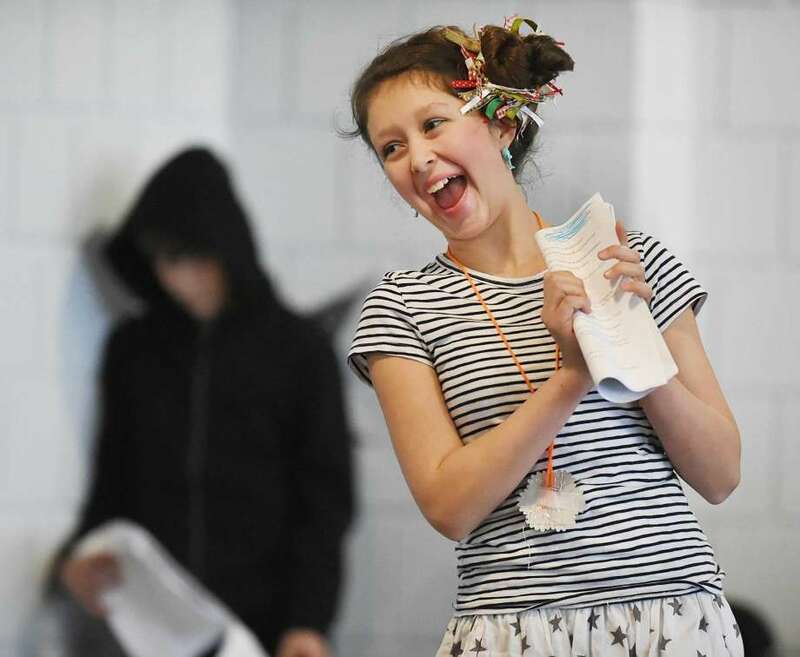 NEW HAVEN — During a performance Friday at Long Wharf Theatre, eight middle schoolers grappled with the complexity of portraying evil characters who learn to work together and appreciate nature. He and his friends are students at the Connecticut Experiential Learning Center in Branford. Some home-schooled students also participated. Every year CELC works with Long Wharf Theatre’s education staff to produce an original play related to the theme of ecology and sustainability. The effort is also linked to the theater’s three “pillars” of creativity, empathy and teamwork. Alcosser noted the parents were encouraged to come to the theater with donations of hats, gloves and scarves for children who recently arrived in the New Haven area from Puerto Rico and Mexico. Both of those areas have been hit by devastating natural disasters. Shortly before the 30-minute performance began, Madelyn Newman, the theater’s director of education, said she values the program because it is so collaborative and focuses on individual needs of students. Michaud said the kids came up with the idea of creating evil characters, all of them students at “The Evil School.” But gradually they discover the importance of teamwork and preserving nature. The other performers were: Izzy Wiltshire, Lorenzo Dalton, Nick Straka, Emma MartinMooney and Addie Morrissey.